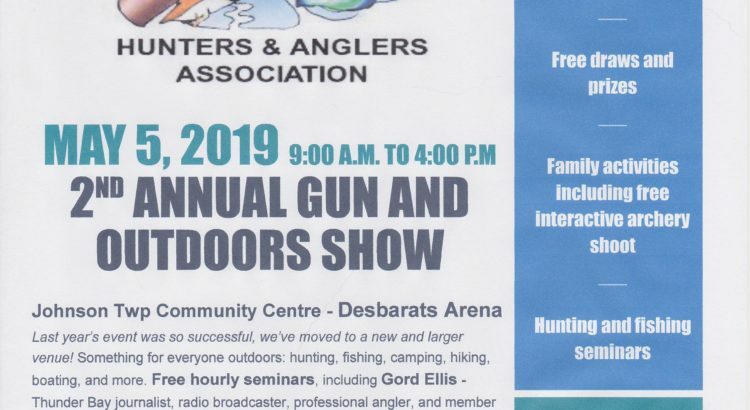 On Sunday, May 5, at the Desbarats Arena, The St. Joseph Island Hunters and Anglers in partnership with Desbarats Community Recreation is hosting the second annual Gun and Outdoor Show. Doors open at 9:00 a.m and the event continues until 4:00 p.m. Entry is by donation.